As much as I wanted to get the Sky Blue Ray color of this jacket, I couldn't bring myself to wear it everyday. Instead, I chose a more muted option; the Nightshade, and I've gotta say that it works rather well. The hint of blue on the access pockets really sets it off. The fabric is Fortius 2.0, sorry Polartec, seems you've been replaced, but it's OK. Fortius does the job without compromise. I have a Gamma AR as well and you can tell the difference between the two. In comparison, you can't go wrong with any of the Gamma models, but while the SV (discontinued) and AR models would be built solely for warmth and durability, the MX would be built for comparable warmth and flexibility. It seems to be more in the stretchy category over the AR and SV, so it fits in the aerobic category. I can use it for everything and that works for me. Granted, my Marmot Sharp Point remains my staple or go-to shell, but nevertheless the MX is a great piece. It's articulated in cut, with arms that are made for movement with good length. Not too short or long, and just the right torso length. Sizes are true. I'm just glad that I had the extra $300 to grab one. Yep, it's pricey, but look at it this way, you're gonna get 15+ years out of each shell if you take care of it. Be confident that this is a good investment. This is one awesome jacket. Arc'teryx really knows how to make gear. I first had experience with the hooded version of the MX and was blown aback at how amazing it was. Windproof, breathable, amazing fit, and now without a hood it is a little more versatile in layering and for using in other activities. All in all, I highly recommend all products in the Gamma line, and in general, all Arc'teryx products. Even though people say their quality has diminished since moving production from Canada to China, I say not. Their gear is still some of the best. I have used my Gamma MX on a very consistent basis over the last three years, and it has been with me rock climbing, ice climbing, backpacking and winter camping. Due to the superb fit and wonderful drape of the fabric, I have also worn the jacket as my "around town" piece, and as a consequence the jacket has seen a good deal of use and wear. My experiences with the Gamma MX indicate that although the fit and design of this jacket is unparalleled, the choice of fabric restricts the use of the jacket to light exertion activities where rain is unlikely. From the outset, the jacket failed to breath adequately when hiking uphill with or without a pack in cool weather. 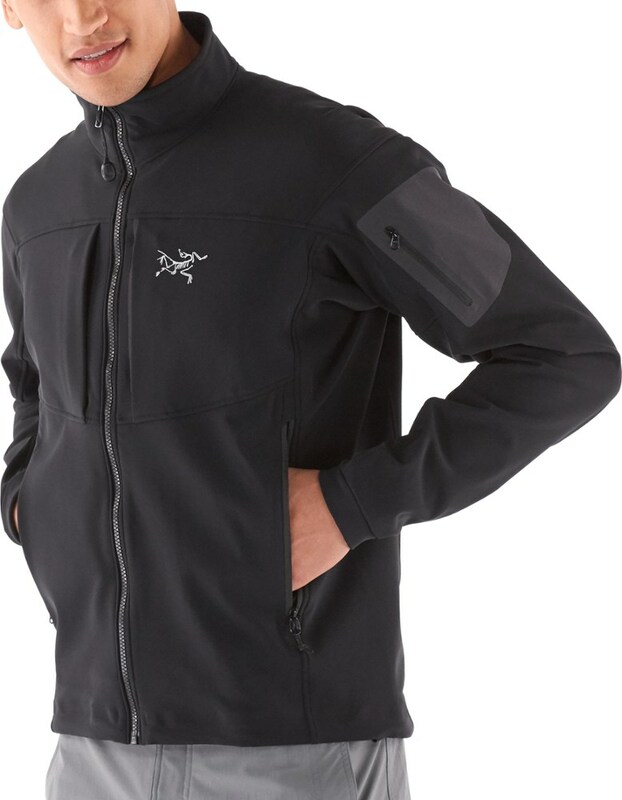 Compared to a Gore-Tex hardshell the Powershield is in fact more breathable, but it in no way matches a decent windshirt, and has always left me overheated, even in winter while wearing only a T-shirt baselayer. The material is highly wind resistant, but its water shedding abilities deteriorate quickly once the factory DWR wears off. Initially, it would repel light rain, but after a year of use, the fabric simply absorbs water and tends to retain moisture much longer than is practical. Once wet, I cannot dry this jacket on a multi-day trip. I have properly washed, recharged and renewed the DWR to no avail. I rarely ice climb with the MX as the sleeves quickly become saturated and cold. The fabric is very durable, but will pill eventually. The cuff openings are wonderfully low profile and allow gloves to be layered easily, but mine have stretched out so that they no longer provide a decent seal around the wrist. The fabric stretches and moves better than any other fabric I have encountered. 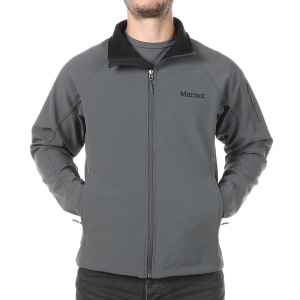 I love to use this jacket to rock climb in cooler weather due to its low profile, great mobility and durability, and wonderfully placed pockets. 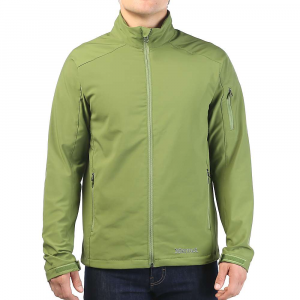 However, the breathability and moisture issues dictate that for multi-day or adverse weather activities, a different jacket is a better choice. There is no better soft shell on the market. Period. There is no better soft shell on the market. Period. The Gamma MX (Hoody) has taken me through almost every kind of weather and performed to the level of my expectations (which is pretty high). I have weathered 70 mph gusts and foot an hour blizzards in the Wasatch and the Gamma never gave me problems. In addition to its impenetrable nature from the the outside (except heavy rain) moisture moves out of the jacket extremely well. I have spent many days skiing, hiking, and climbing in all kinds of variable conditions while staying warm and dry. Some people have complained that this jacket isn't that warm. My response to them is: you're not working hard enough. This jacket is designed to be a shell that offers a little insulation. If you want a warmer jacket throw a fleece on under the Gamma or look for a different jacket. This is a highly breathable practically impenetrable performance piece. 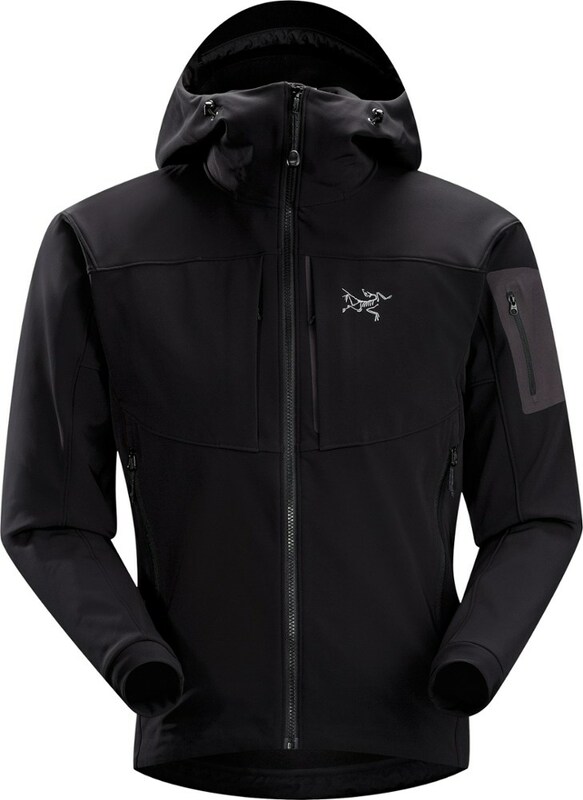 In addition to its performance features, this jacket is amazingly durable (what else would you expect from Arc'Teryx?). I have worn this jacket hard for two years (200+ days a year) with almost no signs of wear. I have even taken a couple falls skiing where I have ended up on rocks (ouch is right) but my Gamma didn't even have a scratch. No one will pretend like this is a cheap jacket, but it is worth every penny. What can you say? It's friggin' Arc'Teryx! Its design, fit and weight are phenomenal! I was a little sketchy about paying so much for a jacket but I am happy I did now! I've owned many softshells now (MH, REI, Marmot, TNF), with different types of matieral for different types of use. When I need a good all around jacket this is what I reach for. I love the PolarTech material and have found it the best softshell for breathability. No softshell has ever kept me warm on cold days, but they are designed to use with layers. This resists weather better than expected. Even in a downpour, coupled with an OR hat, I've stayed dry, while hanging around at camp. I haven't noticed any wind penetration in strong, direct wind, or while running or biking. What I love most is the fit. 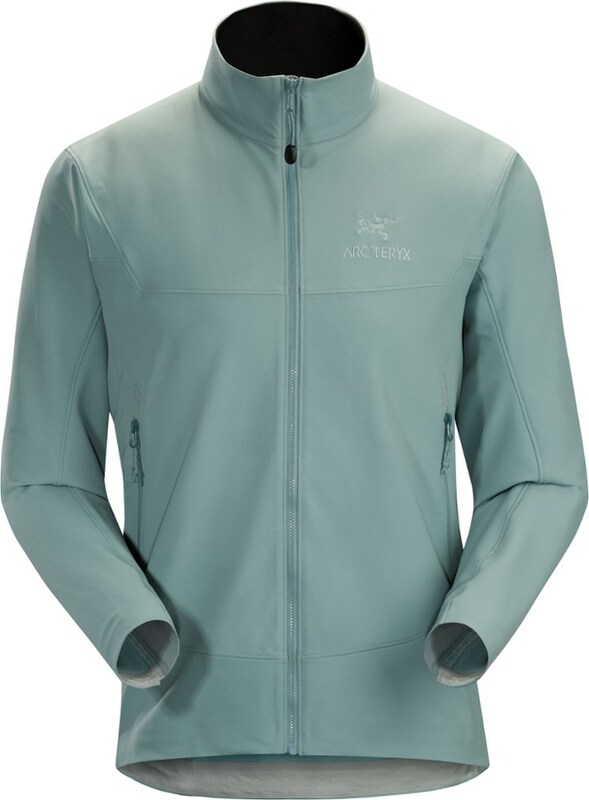 Other brands are unpredictable in their fits but Arc'teryx always fits well and far better. I love it for climbing, the gusseted arms are sweet. I can reach and not have to constantly adjust my sleeves. There are plenty of pockets and the main zipper is designed well and placed so it never had snagged. I'm constantly complimented on my good looking jacket and again, the fit is worth the price. This is a wonderful jacket. I have used it in everything from sunny days to absolute downpours and snowstorms. It does leave a little bit to be desired as far as warmth is concerned because of the material but for average use it is great. It is not waterproof but will stop almost all weather except a very hard prolonged rain. The fabric is rather stiff feeling when compared to fleece and sliding it over other layers can be a little difficult because of the material used and the closeness of the fit. If you can afford it this is a wonderful jacket capable of warding off all but the worst weather. Don't expect a super warm outer layer but it is great for a nice fall day and a T-shirt. I bought this jacket 5 weeks ago. My first impressions are great. 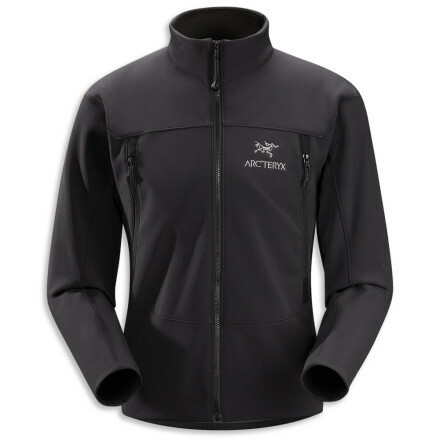 The way Arcteryx produces their products is of the highest level at all and unbeatable. The fit is excellent, you think you aren't wearing anything, but if there isn't any kind of weather: rain or wind this jacket prevents anything from your body. It’s nearly waterproof. The wind blows a little through the garment, but this is very good for breathability. If your doing sports this jacket is unbeatable. 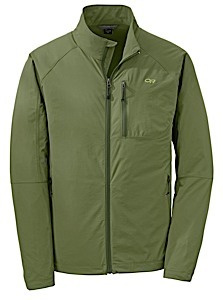 For very cold weather without movement I've bought the Arcteryx Easy Rider and it’s excellent too. Hope it might help you.